Story by Emani Armstrong, Talise Green, Taveon Green, ShyAnn Jackson, Deonna Larry, Warren McKenzie, Angel O’Neal, and Chloe Tyler. Photos compliments of Google, NASA and Wikipedia. Hurricanes are storms with strong, spiraling winds that form over warm water. The wind speeds determine how strong the hurricane is. Hurricanes can put animals, people, and their homes and belongings in danger. It is surprising that despite water on the east coast being cooler than in the Caribbean, that hurricanes are starting to travel further up the coast than they did before. Hurricane Michael made landfall on October 10, 2018 in the Florida Panhandle. Some places in Georgia and North Carolina also received damage from the storm, but the Washington DC area only received some wind and a little rain. In addition to damage to the United States, Hurricane Michael damaged many people’s homes and businesses in Central America, the Yucatan Peninsula, the Cayman islands, Cuba, Canada, and the Iberian Peninsula. In preparation for the storm, many people boarded up their houses and businesses early, while others waited until news of the storm strengthening caused them to board up. Even though people chose to protect their homes and businesses, many people chose to ride out the hurricane and hop for the best instead of evacuating. Other people went to shelters or left their homes to stay with friends and family in places that would not be hit by the hurricane. People who stayed in their homes during Hurricane Michael went to stores and bought things that they thought they would need such as food, water, and supplies like emergency kits, candles, flashlights, etc. After Hurricane Michael the people in affected areas seem to have felt frustrated,overwhelmed, disappointed,and unhappy. How could they think about important things coming up like voting in November when Hurricane Michael had hurt or killed so many people, left their houses and businesses destroyed by the storm or even looted? After the hurricane cleared out, the cleanup began. Local construction workers and volunteers from different places helped clean up. The hurricane was a major storm and it will take a long time to clean it up but the people will do everything they can. President Trump should help poor countries recover after Hurricane Michael! 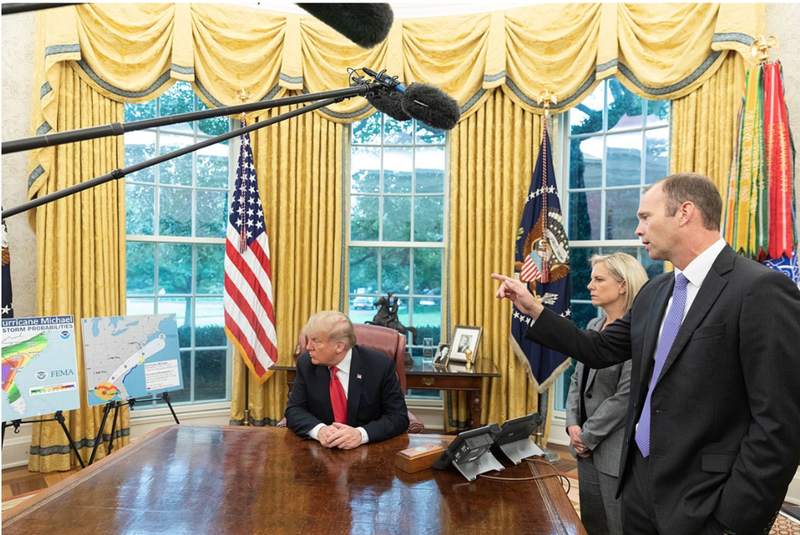 The President of the United States, Donald Trump, noted the some of the areas in the path of Hurricane Michael “are very poor” making it more difficult for them to recover after the storm. It seems that people in these places may be on their own to cleanup as best as they can using their limited resources. We hope that the President will help them so that students can get back into school and families can get back into their homes. Emani Armstrong, Talise Green, Taveon Green, Shyann Jackson, Deonna Larry, Angel O’Neal, and Chloe Tyler are 4th grade scholars at Friendship Chamberlain Academy. Warren McKenzie is a 5th grade scholars at Friendship Chamberlain Academy.